Miskolc is an industrial city in north eastern Hungary; it is the regional centre of Northern Hungary. 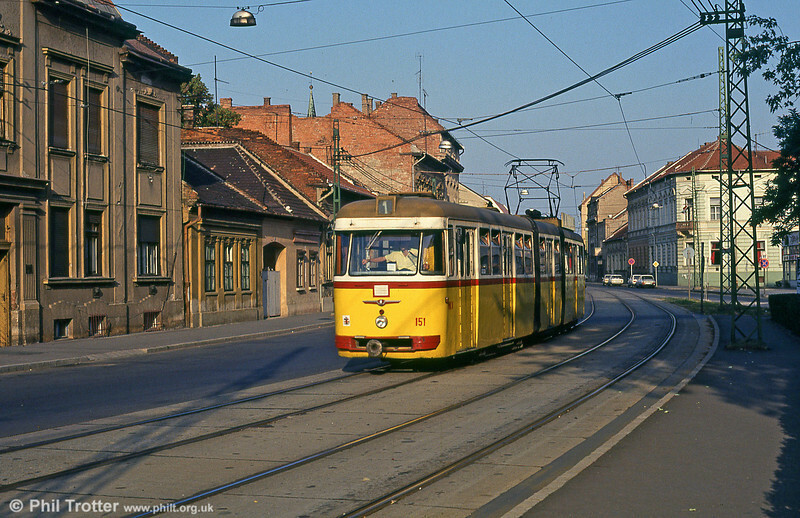 Two tram routes are operated which were visited on 21st August 1992. Miskolc 151 at Varoskozpont on 21st August 1992.